Glenn Murray came off the bench to score twice in extra-time and send Brighton into the fifth round of the FA Cup with a 3-1 win away to West Brom on Wednesday night. After a goalless draw in the initial fourth-round tie at the AMEX 11 days ago, it took 77 minutes of the replay at The Hawthorns for Kyle Bartley to find the opener, but Brighton swiftly responded as Florin Andone sent the game past the 90-minute mark. Murray then popped up in the 104th minute to complete the comeback before putting the icing on the cake three minutes from time to put Brighton into the last 16, where they will play host to another Championship side in Derby. West Brom made seven changes from their most recent Premier League game while Brighton made 10 in total. Only Yves Bissouma kept his place for Chris Hughton's side. It was a goalless first half but there was plenty of action as the crossbar was hit at both ends. 35 minutes were on the clock when Leon Balogun rose highest for a Brighton corner, but he powered his header off the woodwork. Then two minutes before half-time, it was the turn of Hal Robson-Kanu for West Brom as he crashed a sweet volley in from the edge of the area that rattled the bar and bounced clear. There was a controversial moment as well as Andone appeared to elbow Sam Field in the face just before the half-hour mark, but the referee did not see the incident. Further controversy ensued with 25 minutes to go as Alireza Jahanbakhsh was bundled over in the box by Tyrone Mears' clumsy challenge, but the referee waved away Brighton's calls for a penalty. Finally, after 167 minutes of the tie, there was a goal as Bartley prodded West Brom in front in very unusual circumstances. Wes Hoolahan's free-kick was looped into the air by the head of Dan Burn, and his defensive partner Balogun just stood by and watched as Bartley stuck a leg out in front of him on the touchline to turn the ball into the net. Bartley, however, got into a defensive mix-up with Craig Dawson at the back just five minutes later to allow Andone to steal into the box and slip home the equaliser for Brighton, sending the game into extra-time. 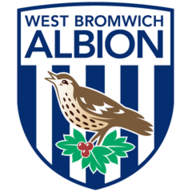 Darren Moore used his fourth substitute at the start of the added 30 minutes, and that decision would quickly cost West Brom as Robson-Kanu was forced off with injury leaving them down to 10 men. 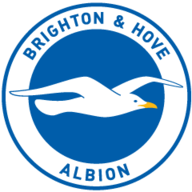 And Brighton would capitalise shortly before the interval as Murray managed to turn home Jurgen Locadia's deflected cross from point-blank range, before the veteran striker netted again in the 117th minute after being smartly found in the box by Davy Propper. It's not often that a player who is introduced with less than 20 minutes to go of extra-time will win Man of the Match, but you just couldn't deny Murray's match-winning quality. After more than 200 minutes of an even tie, he came off the bench to make the difference. West Brom's next two Sky Bet Championship matches are live on Sky Sports Football. On Saturday evening, they head to Stoke and then the following Tuesday, they host Nottingham Forest. Brighton, meanwhile, host Burnley in the Premier League on Saturday evening.